For bike hire book online here. ORCA S6 was £169 Now £135. This great fitting wetsuit is perfect for those new to outdoor swimming. In particular it’s thicker neoprene around the lower body is great for bouyancy. Call in to try one on. Various ex hire and ex demo bikes available see more here. Hoka Jawz RRP £110 Sale Price £95. Great lightweight hill shoe complete with a vibram sole for great grip on rock. See a recent review click here. Hoka Speedgoat RRP £115 Sale Price £97.50 Limited sizes available. 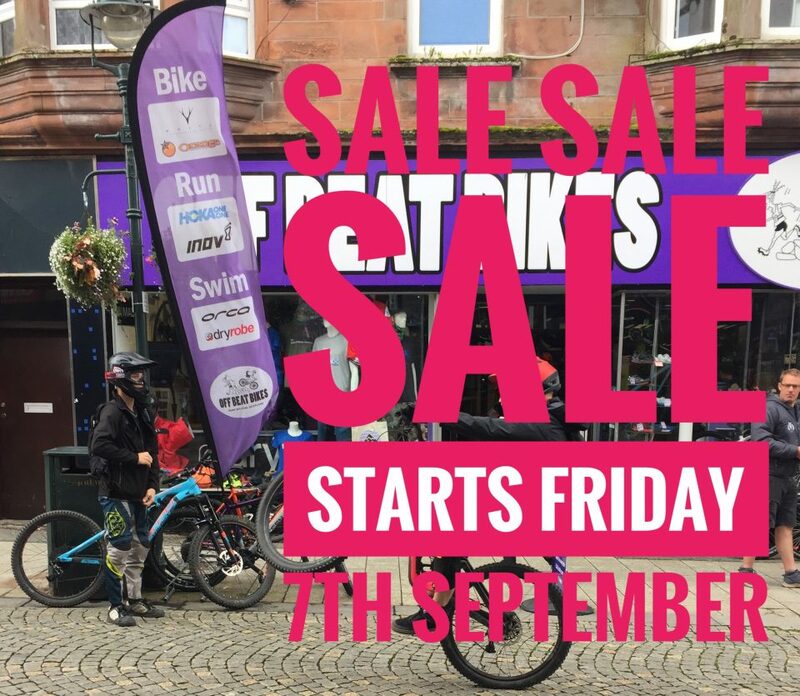 There’ll be lots of offers throughout the shop so call in when the doors open at 9am on Friday 7th September. Get in touch if you need to find out more or call in to the shop any day between 9am and 5.30pm – click here. © 2019 Off Beat Bikes. All Rights Reserved. Website built by Hillside Agency.